If you’ve been putting off taking classes at the iO Chicago, wait no further. A new session is starting, and if you’re not careful, you may even find yourself in one of my classes. Beginning Tuesday, Feb. 28, at 6:30, I’ll be teaching Talk Show Packet (part of Michael McCarthy’s writing program), in which, if you put in the time and the work, you’ll find yourself with a packet of material to submit to your favorite TV talk show! But that’s not all. 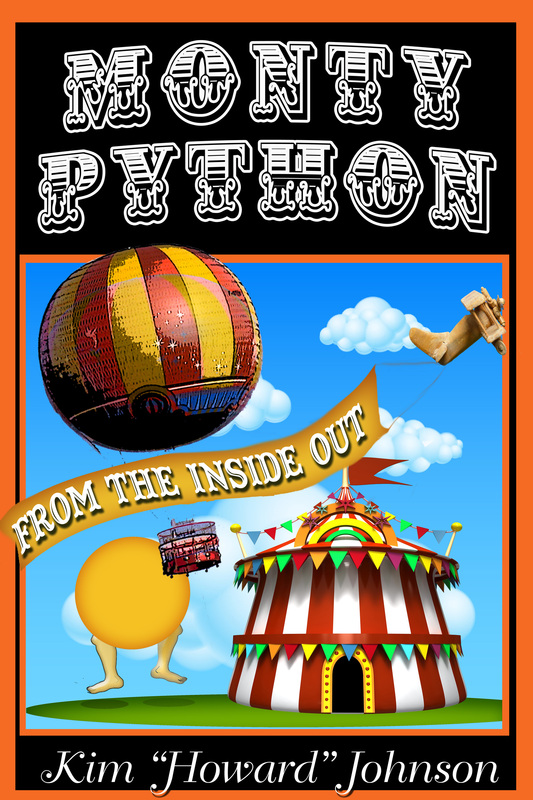 Next Sunday will be the first session of both of my Monty Python-inspired classes, The Python Process and PythonProv. The former will show you how to use the same writing techniques utilized by the members of Monty Python to improve your own sketch writing. It’s a great adjunct to Michael’s SNL Sketch class, and we’ll present a show at the end of the eight-week session! And let’s not forget PythonProv, a brand new type of long form improvisation in which you’ll learn how to perform Python-influenced improv. If you’re interested, you’ll need to contact the iO very soon to sign up, and please let me know if you have any questions. This entry was posted in Improv, Monty Python, Uncategorized and tagged Improv, iO Chicago, iO Classes, iO theatre, Monty Python, python, PythonProv on February 26, 2017 by howardjohnson1985. I’d like to write about what a talented actor he was, but that’s obvious to anyone who has ever seen an episode of Fawlty Towers. I can’t tell you all what a great person he was, because I was never lucky enough to actually meet him. But I do know the high regard in which John held him, and I know that his comic portrayal will live forever. And that’s a pretty great legacy, isn’t it? This entry was posted in Monty Python, Uncategorized and tagged Fawlty Towers, John Cleese on December 2, 2016 by howardjohnson1985. This entry was posted in Monty Python, Uncategorized and tagged python on November 22, 2016 by howardjohnson1985. This entry was posted in Monty Python, Uncategorized and tagged Eric Idle, John Cleese, Monty Python on October 27, 2016 by howardjohnson1985. This entry was posted in Monty Python, Uncategorized and tagged #johncleese, #montypython, #walkingdead, thewalkingdead on October 23, 2016 by howardjohnson1985. This entry was posted in Monty Python, Uncategorized and tagged censorship, Eric Idle, John Cleese on October 16, 2016 by howardjohnson1985. Looks like it’s okay to announce this now. If you’re disappointed because your part of America didn’t have a chance to see Eric and John last year and this year. you’re still out of luck. But if you’ve always wanted to see Monty Python and the Holy Grail presented by John, with a full discussion of the film and audience Q&A, you’re in luck. During the month of January, there will be lots and lots of opportunities. Only three have been announced so far, but there will be more. Honest. 14 January – Providence Performing Arts Centre, Rhode Island. Tickets are on-sale NOW, right here. 20 January – The Hanover Theatre for the Performing Arts, Maine. You can access the PRE-SALE tickets using the password: GRAIL here. Pre-sale ends Monday 10 October at 10pm. 22 January – The Chicago Theatre, Chicago. Tickets are on-sale NOW, right, here. This entry was posted in #chicago, Monty Python, Uncategorized and tagged #johncleese, #montypython, Chicago, John Cleese, Monty Python and the Holy Grail, python on October 9, 2016 by howardjohnson1985. 48 years ago today, Oct 5, 1969, I don’t think anyone expected that the world would still be talking about a show that aired that night on BBC2. Happy birthday #montypython! This entry was posted in Monty Python, Uncategorized and tagged Monty Python, python on October 5, 2016 by howardjohnson1985.